This Economy Saver 3-1/8" Diameter HSS Segment Saw Blade is perfect for making precise cuts in nail embedded wood, drywall and plaster materials. Applications include cutting openings in flooring for venting, repairing damaged flooring and cutting openings for electrical boxes. This blade can also be used for cutting metal materials such as copper, tin, aluminum and nails. The segmented flat side of this blade allows you to cut up to the corners or against other surfaces without over-cutting. 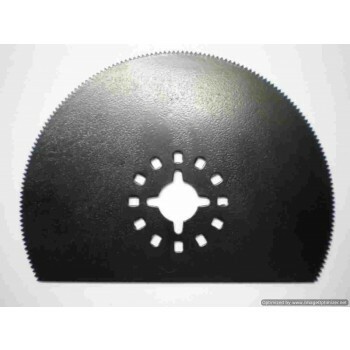 This Cost Saver High Speed Steel Saw Blade is segmented on one side. This circular style blade is excellent for making longer cut spans in wood, plastics and thin sheet metal..